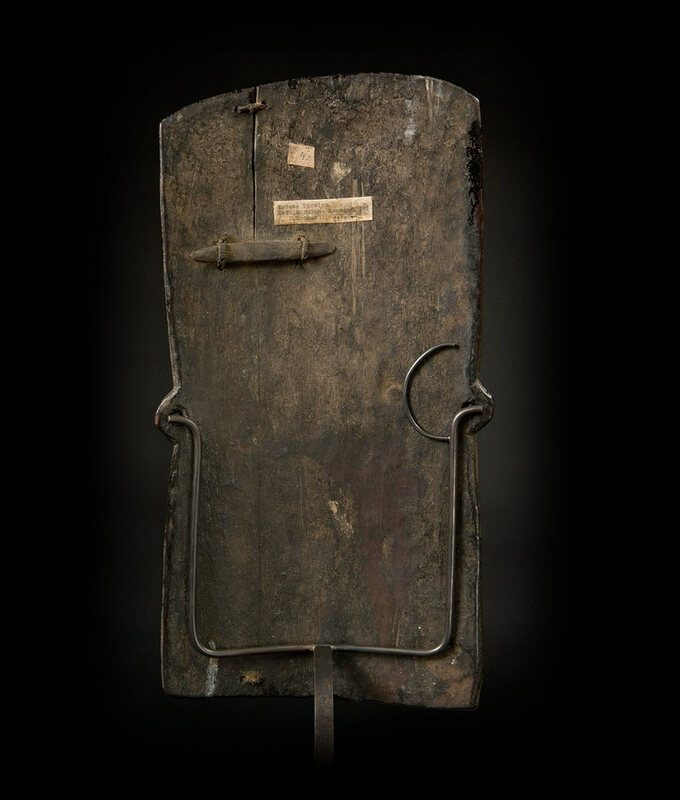 This piece is a half of a rare type of shield covering both the bearer’s breast and back. 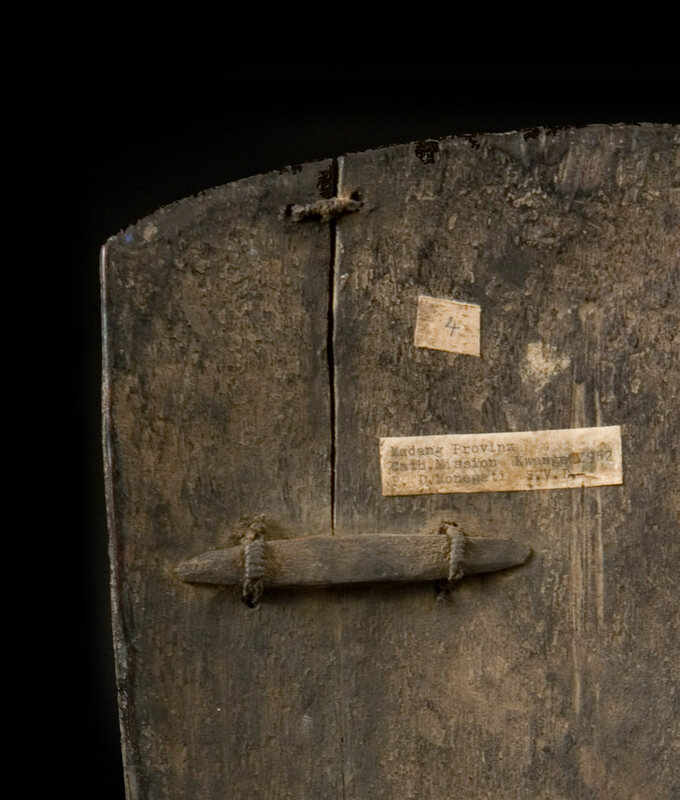 Both parts of the shield were assembled together with fiber straps passing through the holes visible on the long edges. 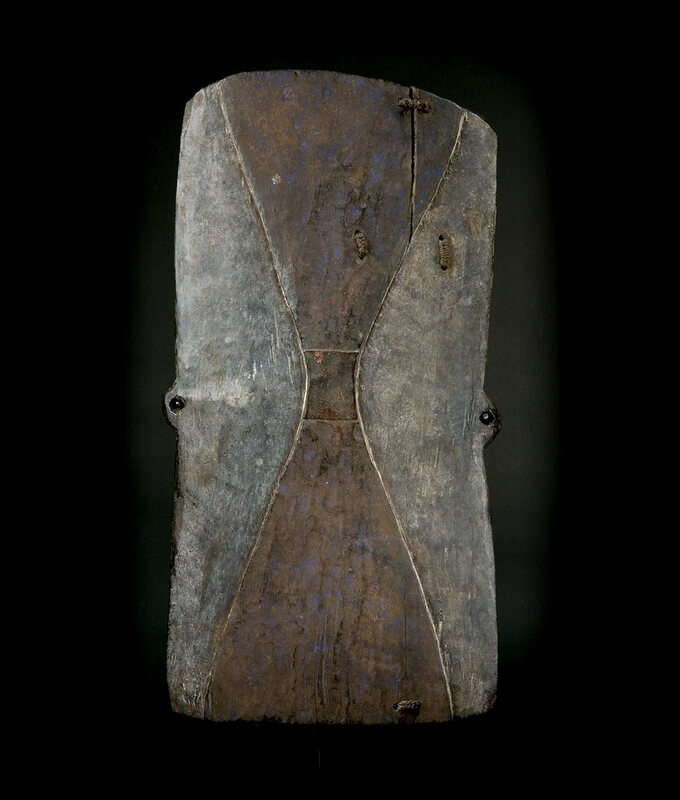 The hourglass shape carved on the front may represent a drum and can be found on other shields from the same category. This remarkable piece presents marks of native repairs (a strip of bamboo and fiber cord), attesting to its value and continued usage. 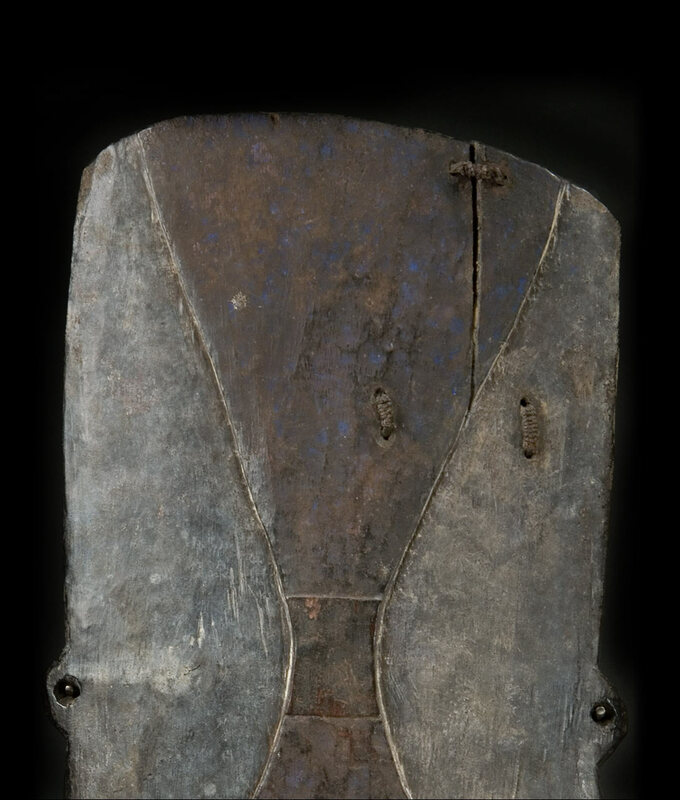 Colors on a shield often give information about its owner’s lineage, and here the surface shows traces of Reckitt’s Blue Laundry Powder, commercialized in the 1850’s and attesting to an early trade with the middle Ramu communities.